Hypoallergenic & dermatologically tested. Pure as ever. Easy iron.No. 1 for sensitive skin** **Based on AC Nielsen, MAT, 25th April 2015 Comfort Pure promises kindness on the most delicate and sensitive skin. 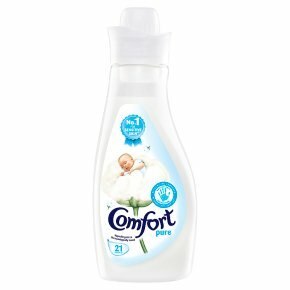 It will leave even the tiniest little baby clothes beautifully soft and gentle next to your baby's skin. It is hypoallergenic and dermatologically tested. Contains Benzisothiazolinone.<br>May cause an allergic reaction.